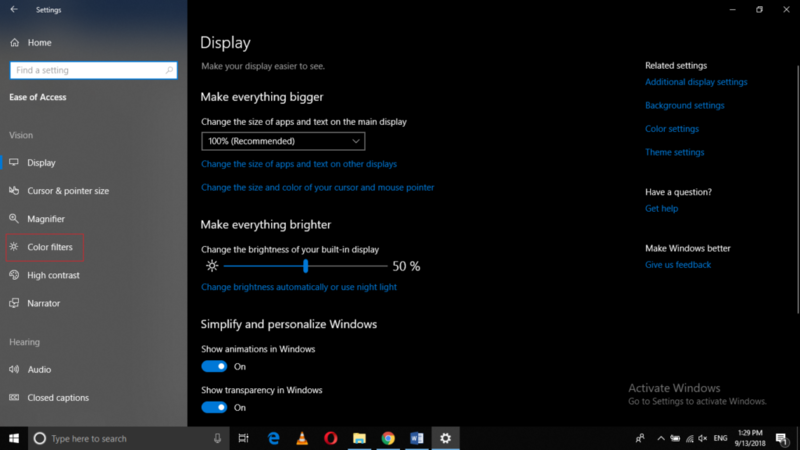 It is obvious from the title that color filters help us to read the screen more clearly in Windows 10. Color filters, in fact, enhance the screen colors or sometimes, hide some of the colors, depending upon the situation. This feature helps the people who are slightly colorblind or cannot comprehend some of the colors. They can adjust the color filters according to their own need and comfort and can easily visualize the screen, which would not have been possible otherwise. 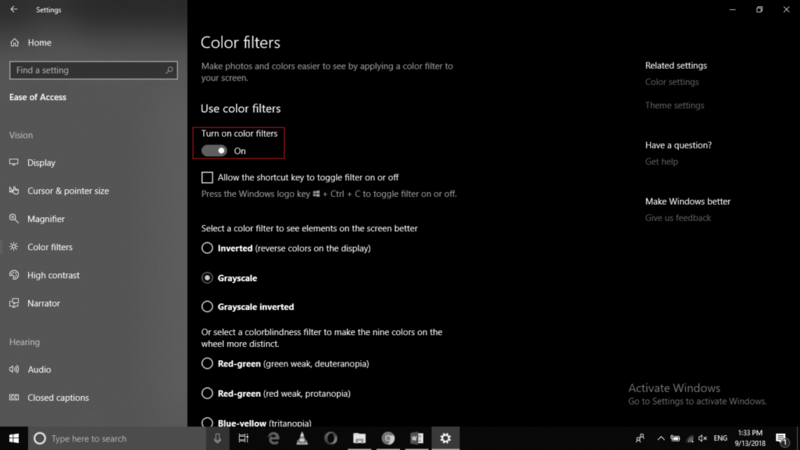 In this article, we will explain to you the method through which you can enable the color filters to read the screen more clearly in Windows 10. Now click on the Color Filters as highlighted in the image shown above. As you can see from the color filters list that currently, the Grayscale filter is selected so the screen appears greyed out. You can select any color filter according to your choice. The options available in this case are as follows: Inverted, Grayscale, Grayscale Inverted. 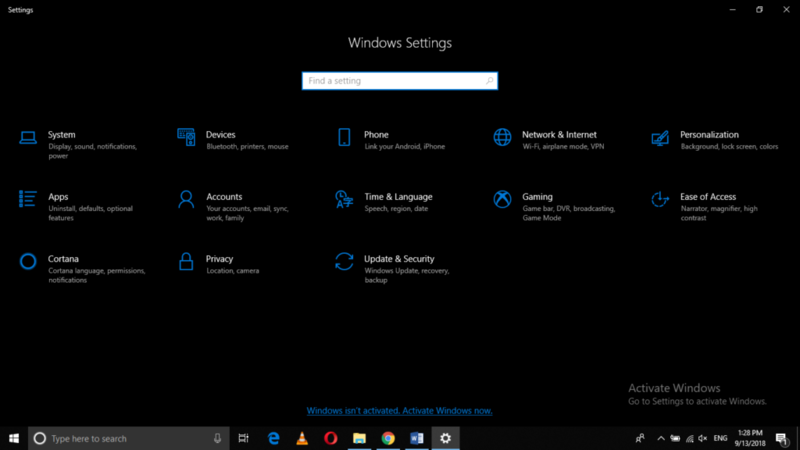 In this article, we studied another customization feature provided by Windows 10. 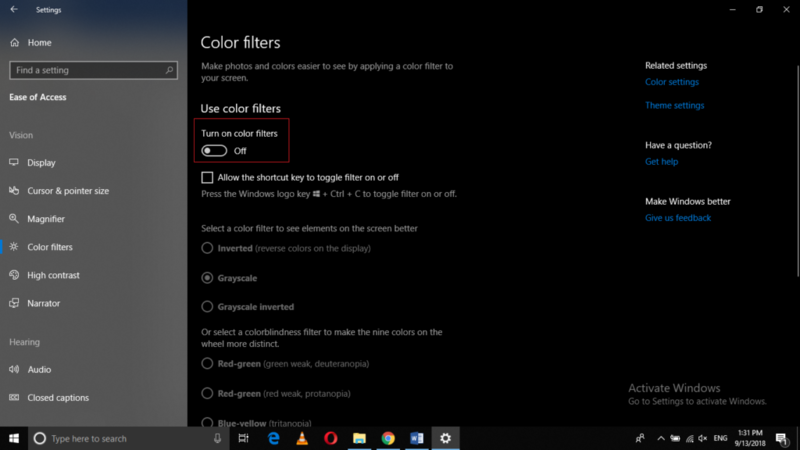 You can use color filters either to enhance your screen colors or to remove some of the sharp colors. All you have to do is just to follow a few simple steps and you can customize the look of your screen right according to your choice.